Alexander Khatisian, one of the prime ministers of the first Republic of Armenia, was a remarkable public figure before and after the crucial years of 1918-1920. 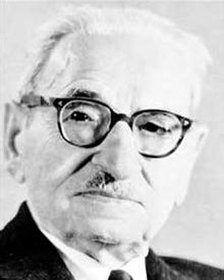 He was born in Tiflis (nowadays Tbilisi), the capital of Georgia, on February 17, 1874. He belonged to a well-to-do family. His brother Kostandin Khatisian (1864-1913) was among the founding members of the Armenian Revolutionary Federation. After graduating from the local gymnasium (Russian high school) in 1891, Khatisian went to Russia to pursue higher education. He studied medicine at the universities of Moscow and Kharkov, and graduated in 1897. He mastered half a dozen languages, including English, French, and German. From 1898 to 1900 he traveled abroad for specialization courses in the best clinics. He visited Italy, France, and Germany, where he also studied public hygiene, laws, and municipal work in slaughterhouses, hospitals, and water works. Later on, he would publish articles and pamphlets on cultural and health-related topics. Upon his return to Tiflis, in 1900, Khatisian worked as a doctor, and also entered the political arena. In 1902 he was elected to the City Council, and in 1905 he became a member of the City Board. He participated in the revolutionary movements of 1905. He wanted to join the A.R.F. at that date, but he was dissuaded by Rostom, one of the party founders, and Hamo Ohanjanian, among others, who argued that he could better serve the Armenian people and the party as a non-partisan. In 1907 he became an assistant to the mayor of Tiflis, and from 1910-1917 served as mayor of Tiflis. He was president of the Caucasus branch of the Union of Cities (including a total of forty-four cities) from 1914-1917. During World War I, Khatisian was among the organizers of assistance for Armenian refugees and genocide survivors. He collaborated with the formation of the Armenian volunteer battalions and was elected vice-president of the Armenian National Bureau of Tiflis from 1915-1917. After the February Revolution of 1917, Khatisian entered the ranks of the A.R.F. During that decisive year, he led the National Bureau until October, presided over the Council of Armenian Political Parties (March-April), and participated in the convention of peasants of Transcaucasia (June 1917). He moved to Armenia at the end of the year and was elected mayor of Alexandropol (nowadays Gumri). In February 1918 he participated in the peace negotiations held with the Ottoman Empire in Trebizonda (Trabzon). However, in April 1918 he went back to Tiflis, when he was designated Minister of Finances and Provisions of the short-lived Republic of Transcaucasia. In May he returned to the table of negotiations with the Turks, and was one of the three Armenian representatives who signed the Treaty of Batum on June 4, 1918, where the Ottoman Empire recognized the independence of Armenia over a stretch of territory. He moved to Yerevan, and Prime Minister Hovhannes Kajaznuni designated him as Minister of Foreign Affairs. 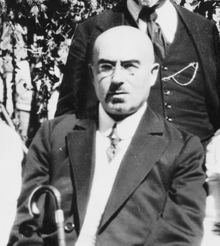 After Kajaznuni left Armenia in February 1919 on official mission, in April Khatisian was designated acting Prime Minister and was confirmed as Prime Minister in May, while also retaining his position in Foreign Affairs. He reshuffled his cabinet first in August 1919 and then in the spring of 1920. After his return, on the eve of the Sovietization, he signed the Treaty of Alexandropol along the representatives of Mustafa Kemal on behalf of the Republic of Armenia in the early morning of December 2-3, 1920. After the fall of the Republic, Khatisian settled in Paris. He continued his political activities, and participated in the Lausanne Conference in 1922-1923 defending the rights of the Armenian people. He was a member of various Armenian and Russian public organizations. He published his memoirs of his time as mayor of Tiflis and the volume The Origin and Development of the Republic of Armenia (1930). Turkish forces commanded by General Kiazim Karabekir had already reached Alexandropol (now Gumri) at the end of November 1920 when a ceasefire was forced upon the Armenian government. On the other side, a small group of Armenian Bolsheviks had crossed the border from Soviet Azerbaijan into Armenia on November 29 and proclaimed Armenia a Soviet republic, appealing for the intervention of the Red Army. The government of the Republic of Armenia, led by Prime Minister Simon Vratsian (who had assumed power on November 25), was forced to choose the lesser of two evils: to turn away the potential annihilation of Eastern Armenians, it decided to relinquish power to the Communists. The change of regime was legalized through the signature of an agreement between the authorities of the Republic of Armenia and Boris Legran, representative of the Russian Soviet Federative Socialist Republic (RSFSR), in the morning of December 2, 1920. It was enforced on the same day at 6 pm. It established that Armenia would become an independent Soviet Socialist republic within the frontiers that had been under the jurisdiction of the government before the Turkish invasion and a revolutionary committee would take power temporarily. On its final session of the same day, the government of the Republic of Armenia decided to resign power. After more than two and half years, the first independence had come to an end.